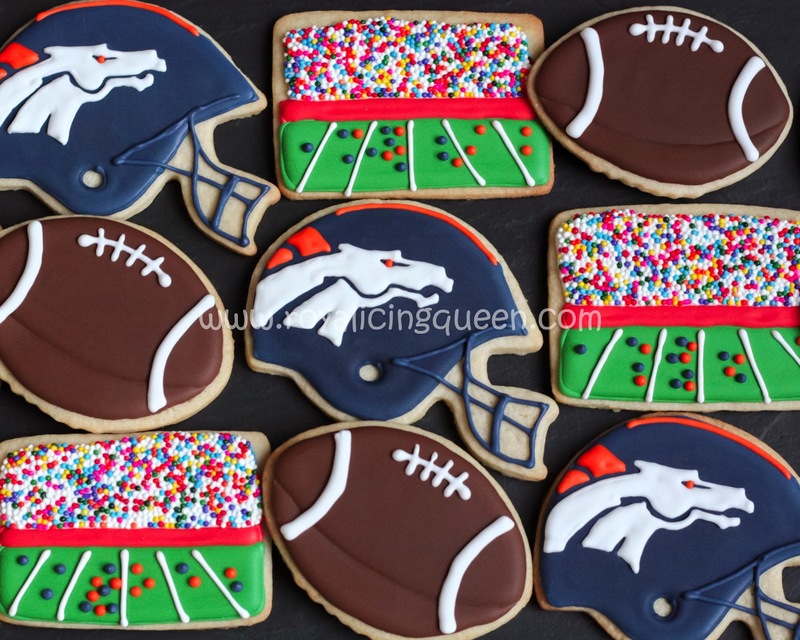 My friend, a Broncos fan, asked me if I could make her football-themed cookies for her Superbowl party this weekend. I was more than happy to help. I live just outside Seattle and making these might be enough to get me kicked out. I'll have to make Seahawks cookies next. With pink hearts and flowers for Valentine's Day. I used my airbrush to add color to the dragonflies' wings. I started by outlining then flooding the wings with white icing. I left that to dry overnight and then airbrushed the wings the next day. I outlined the wings again with white icing then piped the dragonflies' thorax and abdomen. I applied the white dots on the mushroom were with the wet-on-wet technique. I piped red, twenty-second icing, and then added the white dots while the red icing was still wet. 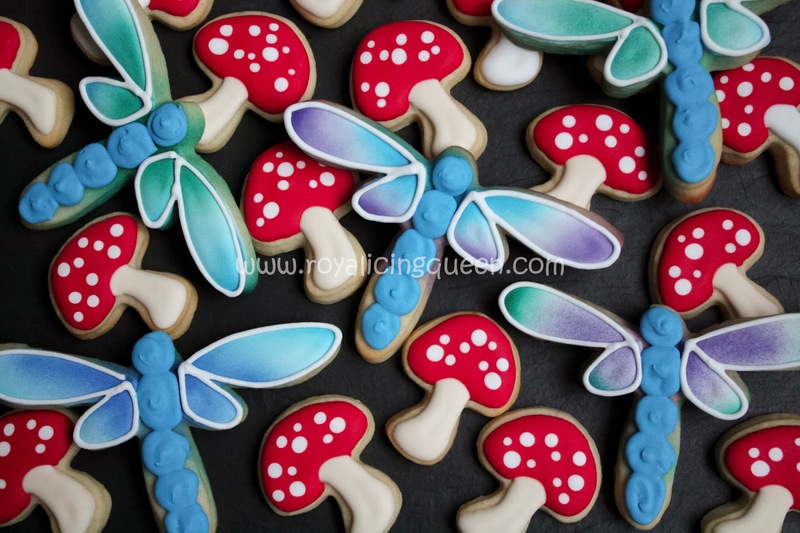 I waited for the red icing to crust over slightly before I added the mushroom stem. 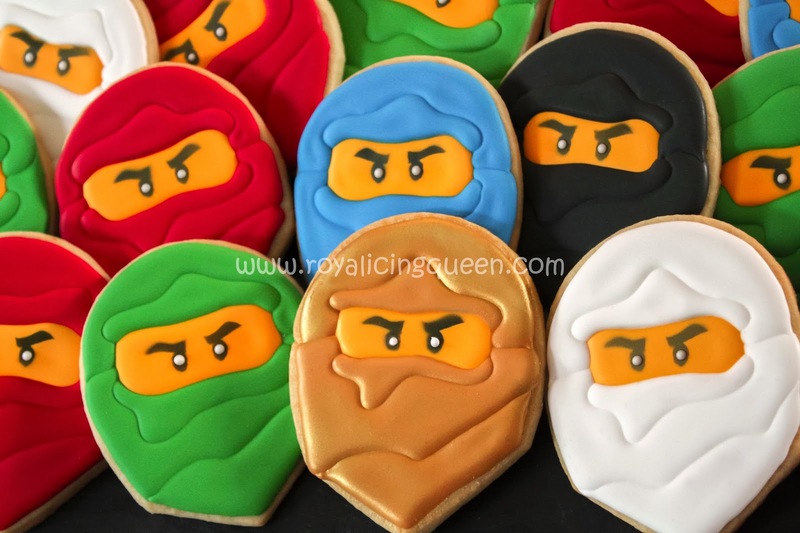 I had some leftover dough when I was making the Ninjago cookies this week so I decided to make some extra cookies and experiment with something new. I had gotten a Hedgehog cookie cutter as a Christmas gift that I hadn't used yet and I thought this would be a fun one to try. I liked the idea of making a cutesy hedgehog but also one that had the realistic texture of a hedgehog. 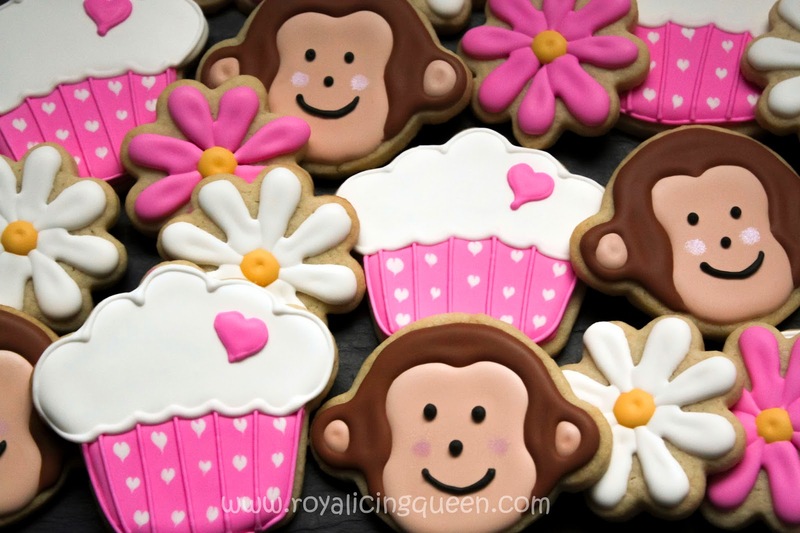 Fortunately, royal icing is very versatile and can be used to create so many different effects. I used stiffer, outline consistency royal icing and a Wilton #2 tip to make the hedgehog's quills. 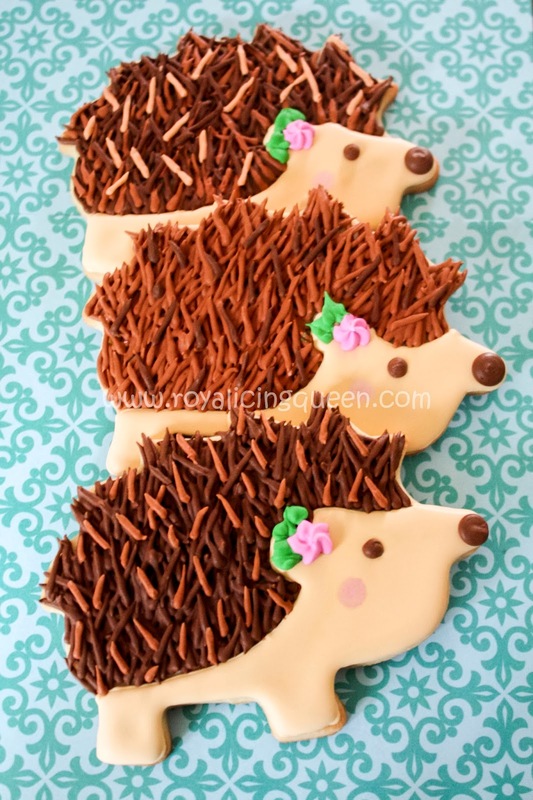 To make the hedgehogs look more cutesy, I turned to Pinterest for inspiration where I found many hedgehogs cookies made with flowers and bows placed near their ears. I had also recently purchased some orchid pink luster dust that I hadn't yet had a chance to use. I used a slightly damp rounded paintbrush to dust this on their cheeks and give them their rosy complexion. I also experimented with layering different shades of brown when I was making the quills. 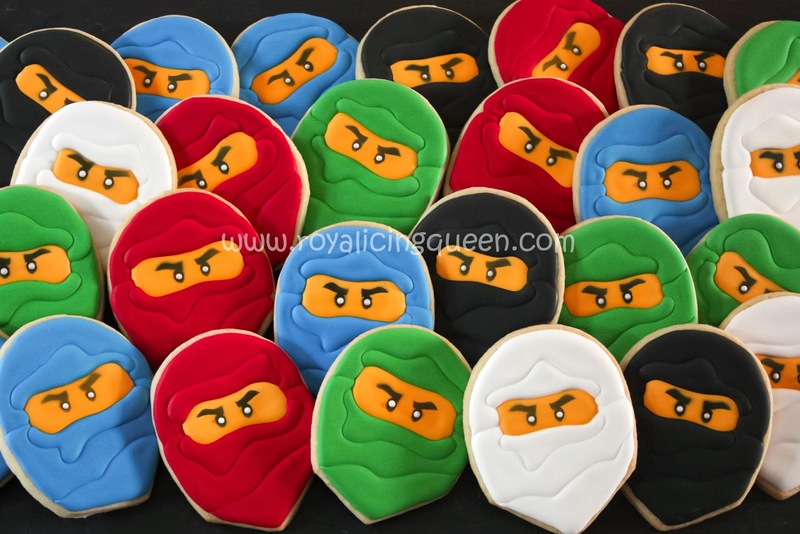 These cookies took a lot of individual quills. 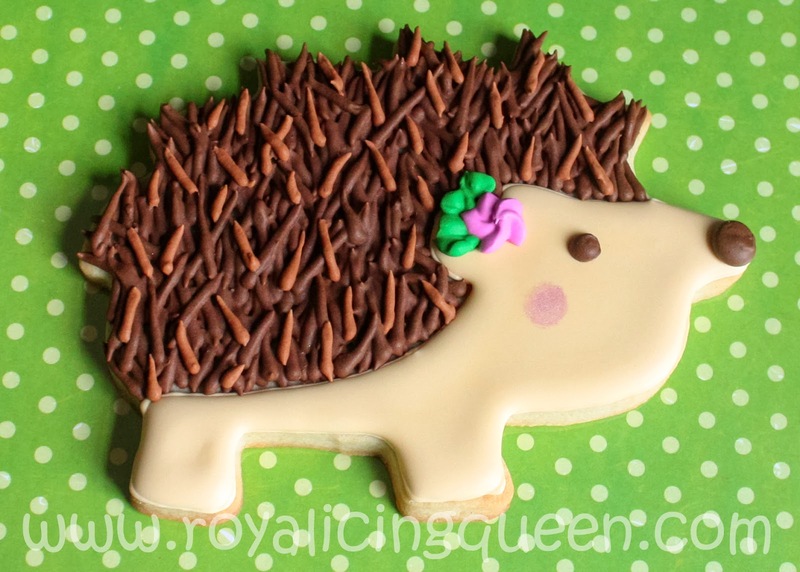 It was time consuming work, and, if I were to make these again, I think I would flood the upper portion of the hedgehog with dark brown royal icing first so that I wouldn't have to be as concerned about layering the quills and having the lighter cookie shade showing through. Chocolate roll-out cookies would work well for this design too.